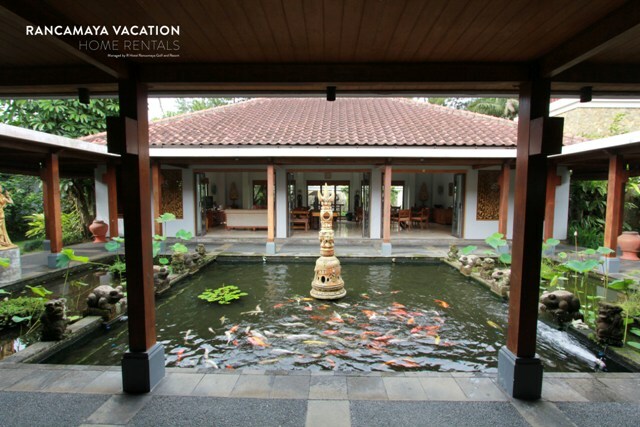 Villa Bali is a spectacular villa in Bogor-West Java. 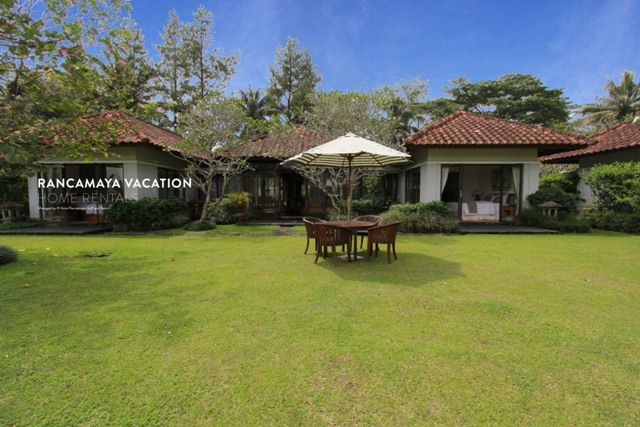 Located in Rancamaya Golf Estate — the villa enjoys beautiful views of the majestic Mt. 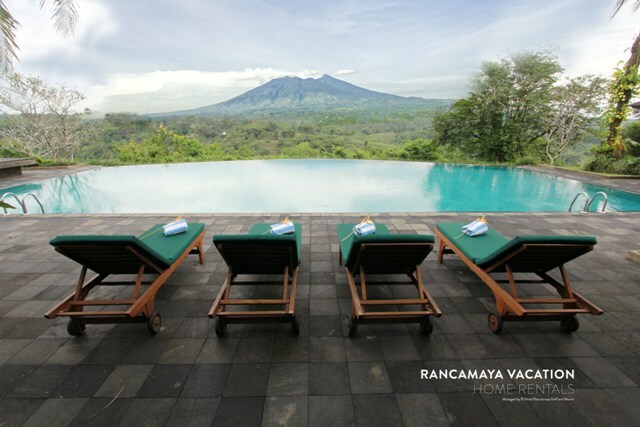 Salak and world-class Rancamaya golf course, along with extraordinary 2 guest houses with total 6 bedrooms. 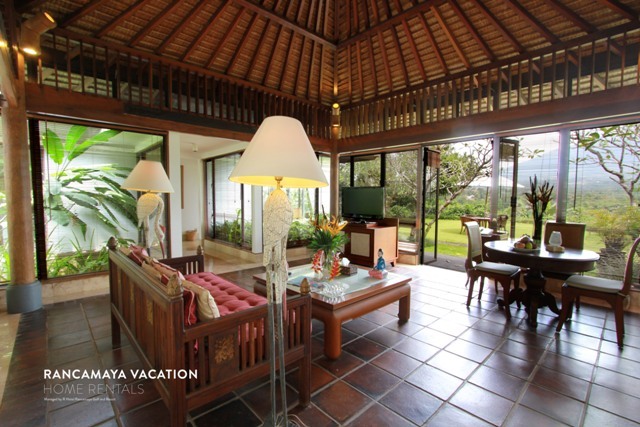 This vacation rental is an ideal choice for families, multiple couples, and small group. 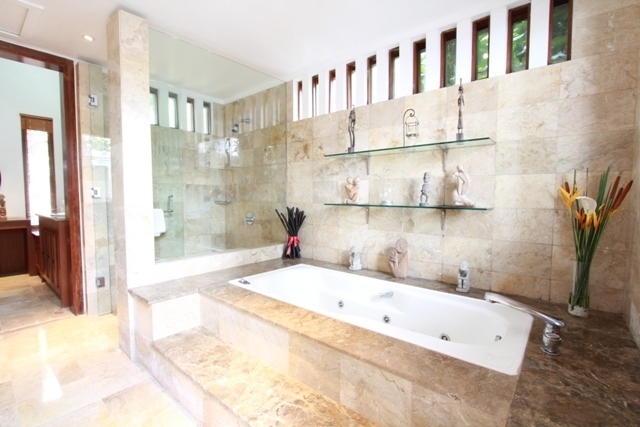 Secluded amid exquisite tropical flora, the beautiful estate features a swimming pool and Jacuzzi, as well as a cool veranda adjacent to the villa's interior living room. 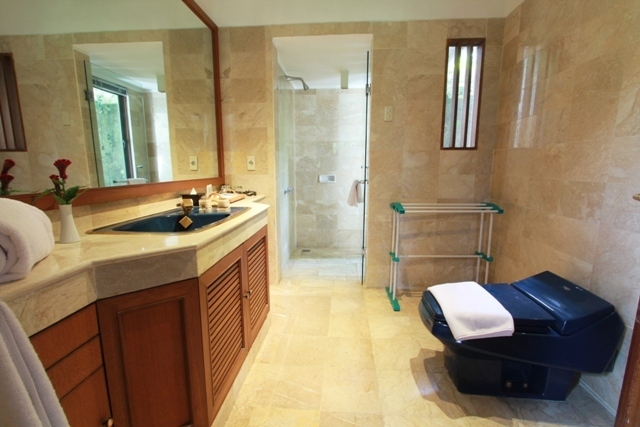 Enjoy bright mornings sunbathing on elegant loungers and plunging into the lagoon-like pool. 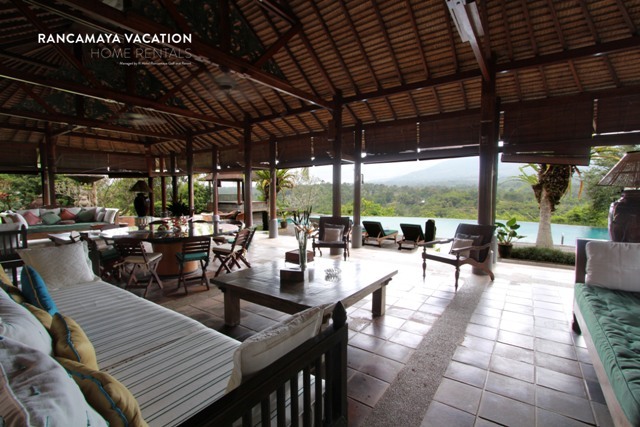 Withdraw to the veranda at lunchtime, cooking a seafood/meats barbecue on the grill and mixing cocktails at the backyard. After relishing your meal alfresco, relax in the comfortable lounge. The open-plan living room features soaring ceilings and wide doors to both the veranda and the garden, creating a lovely flow of air throughout the house. In the evening, choose a fine bottle from the wine fridge and relax together in the lovely lounge, beholding the evening sky. Prepare delicious feasts in the fully equipped kitchen—serving appetizers at the gorgeous dining room—and enjoy a fine feast together. 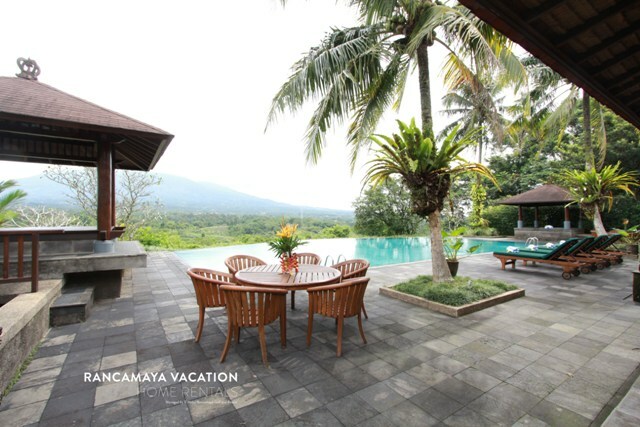 Mountain view, swimming pool view and golf course view.